On July 30, we established the avast! Mobile Beta Testers Google+ community for advanced users to help us test the new BETA version of our Android protection. It was the first time we used a social network to make our product available for testing. The goal was to look for potential bugs and errors and report it to our developers. We did not expect such great feedback from your side. Our Google + community gathered Android fans and advanced users from all over the world. Within less than two weeks, the beta testers reached almost 1,500 members and the testing process was extremely successful! Parallel testing took place on the AVAST forum, where AVAST evangelists have been helping us and other users by providing technical support, security tips, participating in BETA tests, as well as suggesting further product improvements. A week has passed - WOW, that fast! The beta test has now officially ended, and we'll prepare for release. 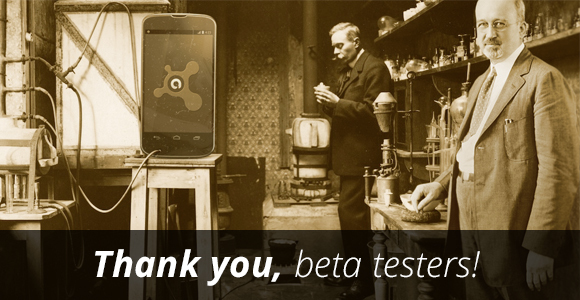 About the beta test itself: It was great, and your feedback was SO valuable! We found several significant bugs we would not have found without you. Thank you in the name of our team and in the name of all customers who you helped to save from trouble, for your support! Please note that our community on Google+ will remain active for future tests, product improvements, and suggestions. Please feel free to leave your feedback to our developers there as well as on our forum.